What lies ahead for Brennan on Bones Season 9? 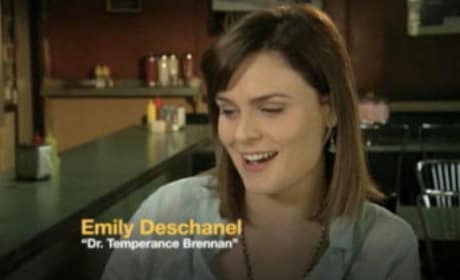 Emily Deschanel spills some details in this TV Fanatic exclusive. David Boreanaz talks about Bones Season 9 in this exclusive interview with TV Fanatic. And also about the Philadelphia Eagles. 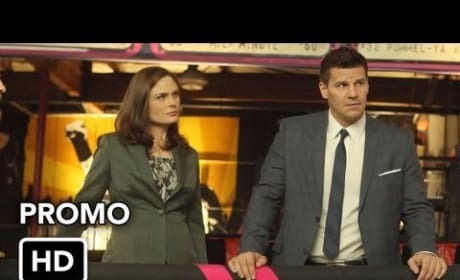 Bones' promo for the February 4, 2013 episode, "The Doll in the Derby." There's a roller derby murder mystery in the works. A promo for next week's Bones, "The Signs in the Silence." It's the third to last of the current season! 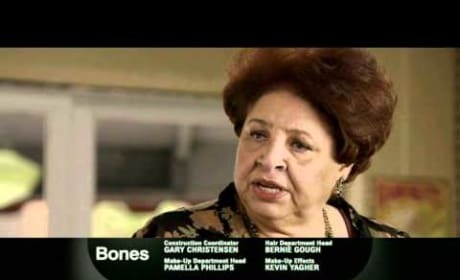 "The Bones That Weren't" marks the first new episode of Bones in three weeks. In this clip, Booth and Hannah have a conversation. A sneak peek from the November 4 episode of Bones. Brennan investigates the remains. Bones and Booth interrogate a suspect in "The Bones That Weren't." It doesn't go well. A preview of the September 30 episode of Bones. Katheryn Winnick plays Hannah Burley. She's going to be so hated. "Seems like we were never away from each," Brennan says in this clip from the sixth season premiere. In her roundabout way, she tells Booth that she's glad they're working together again. Feel the heat. Feel the tension. Here's our first glimpse at the sixth season premiere of Bones. Bones is gearing up for a new season. No new footage here, just a recap of past glory. What's the deal with Booth's new love interest on Bones? 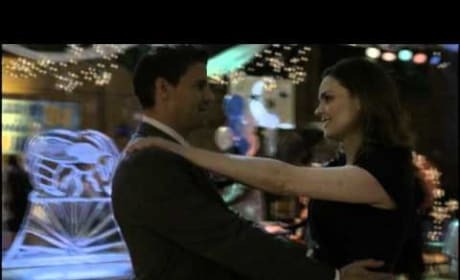 Emily Deschanel and David Boreanaz give us the scoop.